Have you been considering the latest technology in commuting? Electric bikes are quickly growing in popularity all over the country. Whether you are a biking enthusiast, or just someone interested in a new method for getting around, these bikes offer tons of benefits. The market has grown so quickly, in fact, that there are now an overwhelming number of options when you go shopping for an electric bike. To help you find the best electric bike for you, we’ve gathered up the top eight bikes on the market today, and reviewed them all carefully. Here’s a look at these bikes, and a guide on how to choose an electric bike that is best for you. 16 Why Ride an Electric Bike? 19 Which Bike Will You Choose? Here’s a quick comparison of the top electric bikes on the market today. There are many things that make an electric bike stand out, so check out the in-depth review of each bike below. Now let’s take a close look at each of the top electric bikes on the market. These are presented in no specific order. This is one of the most affordable options on our list, and as such, it’s not nearly as sleek or fancy as many other models. 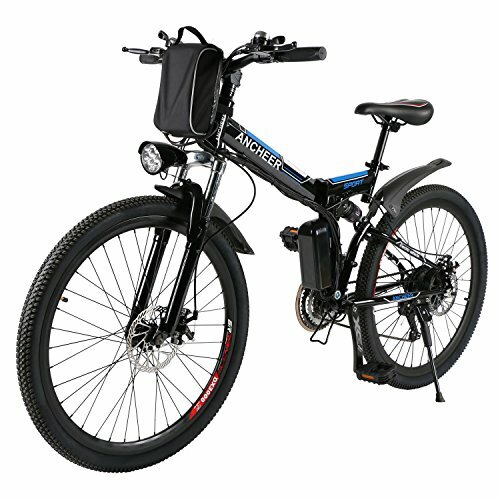 But if this is your very first e-bike and you just want to try it out, this is one of the best options out there. For the price, it’s a great bike. If your expectations are realistic for an affordable entry-level bike, you’ll be impressed by this electric bike. 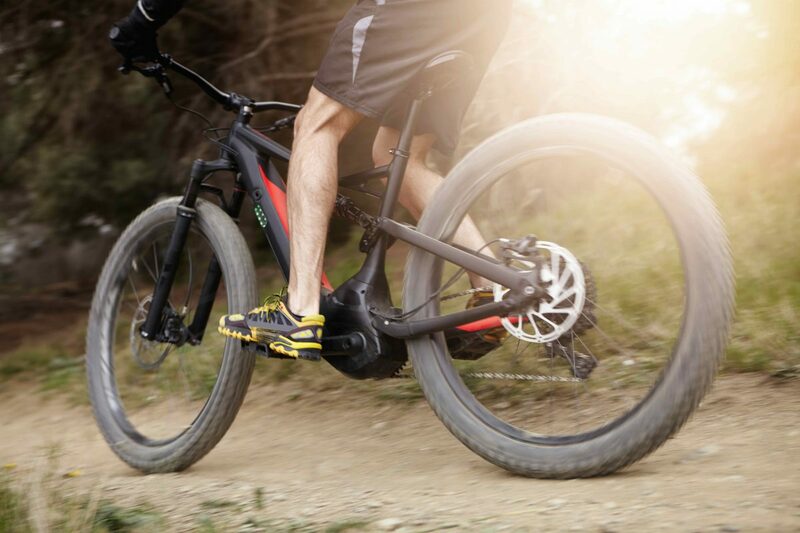 This bike has a rear-hub motor that offers 250W of power. It’s relatively small for an adult rider, but if you aren’t very heavy, it will propel you along just fine. The battery isn’t the most attractive battery in the world, looking something like a very large water bottle, but it is easy to use and charge. It’s not the most powerful battery, but that is to be expected for this price range. You’ll get about 20 miles of pedal assisted riding with one charge. This bike gets up to about 20 miles per hour, and it’s extremely easy to use. 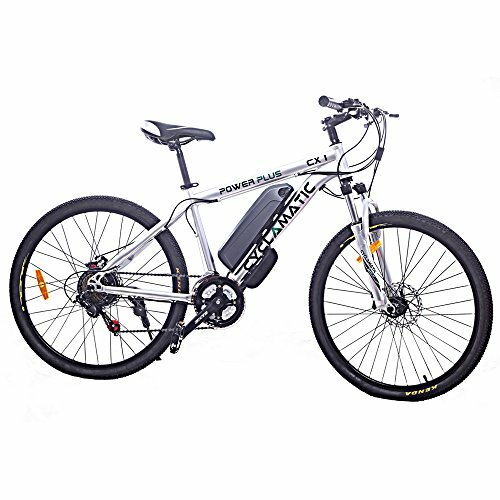 Even if you are brand new to e-bikes, you could easily hop onto this bike and start using it like a pro in minutes. It’s perfect for beginners who aren’t entirely sure that e-biking is for them. Have you ever tried to ride a mountain bike, and just found it hard to handle? 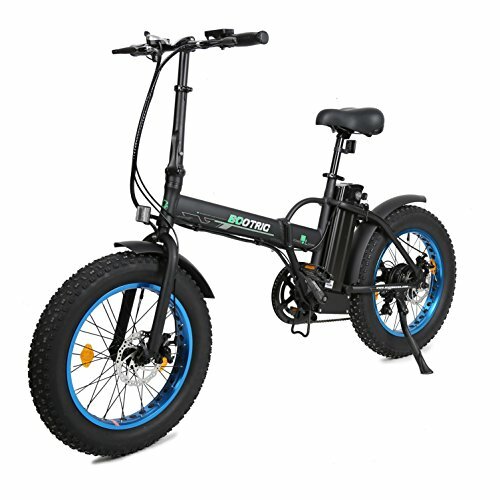 If you are a person on the short or slight side, you may have trouble with the hefty bikes that often make up electric bikes. The NAKTO Cargo is the ideal option. This is a lightweight, low-profile bike, that is easy for anyone to hop right onto. 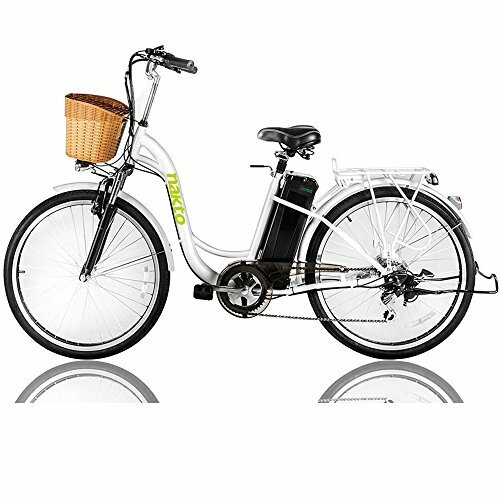 Primarily designed for women, this electric bike is perfect for anyone who wants an easier bike to control. It has the ability to get speeds up to around 22 to 24 miles per hour, and the motor is brushless so that it stays quiet even at the highest setting. The battery isn’t that powerful. You’ll only get about 25 miles between charges. However, you have multiple speeds to shift between that can help you eke out a few extra miles at times. The gear set is easy to shift during your ride. This bike also features a cargo rack and a basket, so it’s perfect for running errands. 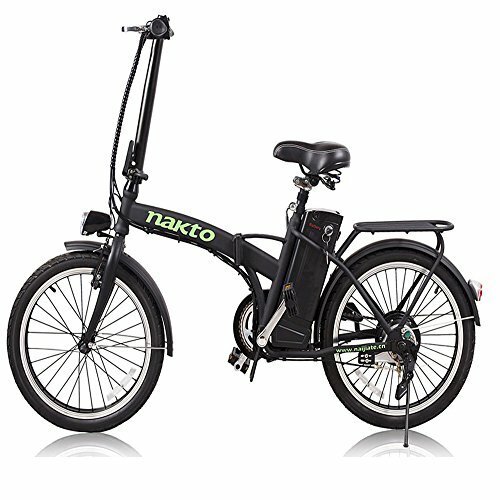 If you are trying to decide between a very portable scooter, or the more powerful electric bike for commuting, NAKTO has the solution for you. This folding e-bike is the ideal solution for someone who wants to ride a bike, but also wants to carry a more portable vehicle with them. Folding into the size that will easily fit into a trunk, or be carried into the office, this bike is great for urban living. It’s a solid, steel-framed bike but is still easy to carry. It does have thinner tires than most other electric bikes, which can make it a little bit less stable than other models. However, this is an extremely easy bike to ride, because it has seven gears for shifting through instead of just a few. The motor helps you get to speeds of up to 15 miles per hour (faster with pedal assist), perfect for moving through foot traffic without being a danger. This bike is also a more affordable option, which makes it great for someone who isn’t really interested in the sport of bike riding, and just wants a commuting vehicle. Here’s another foldable bike that is ideal for urban commuting. But this bike has one unique feature that other e-bikes lack. It is fully waterproof, so that you can ride it in any weather. That’s unique for an e-book, because it’s difficult to keep the battery and motor completely covered in a waterproof manner. But this bike does it well. It’s an easy to carry bike that folds up in fewer than 20 seconds. This bike is also made with top of the line components, from brand names like Shimano and Kenda. The steel frame is very heavy-duty, and the tires are great Samson Champion Tires. Because this bike is so small and light, it’s great for zipping around in crowded areas. However, that does mean that it is not quite as steady as other e-bikes. This bike doesn’t have a throttle, just a pedal-assist option. It’s also not really made for taller or heavier riders. The bike is a pretty small 20 inches, with just 20-inch wheels. It’s better for those under six feet tall. Additionally, it can only offer about 30 miles of battery power before it needs to be charged. One more folding bike, this option from ANCHEER is perfect for urban commuting. If has some great features to offer. The lithium ion battery is easy to use, and the charge port is compact and easy to carry, so you can charge the bike up at work between commutes. It has both front and rear brakes, something you don’t see on many e-bikes, making this a much safer ride. Another safety feature on this bike is the LED lighting system, something that other bikes on our list don’t offer. It also comes with a horn for alerting traffic to your presence. Finally, it has a very strong carbon steel body that is lightweight, yet durable. The charging time is one of the biggest downsides of this electric bike. It takes four to six hours to fully charge, and doesn’t offer the fastest speeds or a ton of range (you’ll get about 35 miles of range on one charge). This bike’s folding mechanism is more for storage, rather than for carrying around. It lacks a lock that would keep it folded when in that position, so it may be less convenient than other bikes on our list. This is one of the newest names in the electric bike market, but it’s a great option for many reasons. This one has a fast-charging battery that can get you riding fast, and a whopping 21 speeds to shift through, so you can ride in just about any scenario you can imagine. It does have a front suspension to make the ride more comfortable, and it includes both a pedal-assist mode or a completely manual mode. You will get about 28 miles of range at the highest setting, which lets you go about 15 miles per hour, and the entire bike has an extremely stylish look. This is a smaller, thinner bike that is very lightweight, perfect for those who want something that is agile and maneuverable. It does come with 26-inch tires to make it a bit sturdier than other lightweight e-bikes, and the brushless motor keeps it silent while you ride. 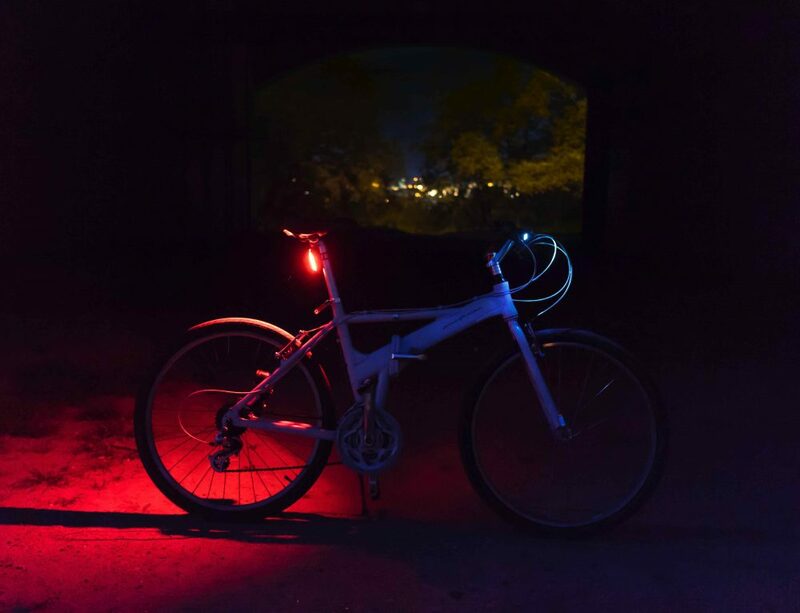 A bell and light reflectors are the only safety features on this bike, and it only comes in a single color. But those are really the only negatives we can find about this option. If you are looking for a meaty mountain bike that will go off road and handle anything you can throw at it, here’s your bike. This option is a hefty all-terrain bike with heavy-duty tires with tons of grip. The rear-hub motor has 500W of power, which makes it the hands-down most powerful bike on our list. 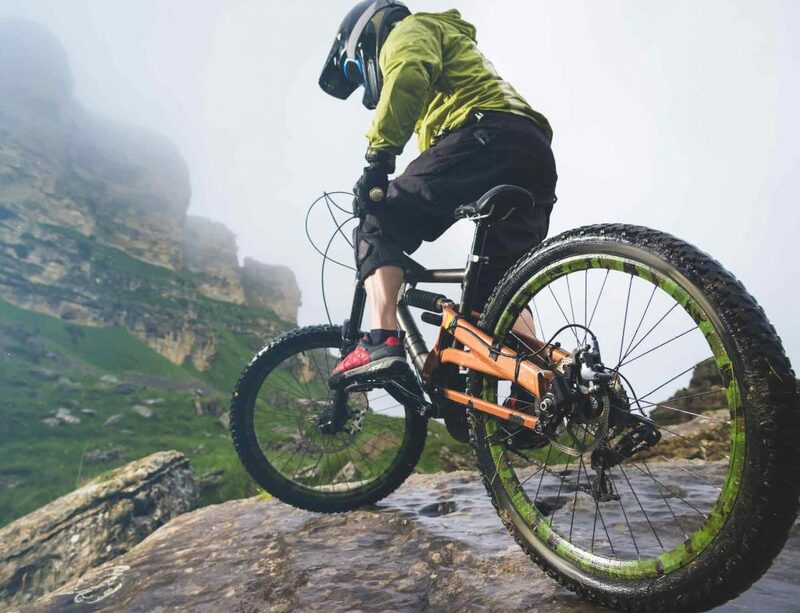 You can only get up to 20 miles per hour, but the extra power is what allows this bike to support riders up to 260 pounds and deal with all sorts of riding surfaces. The rear disc brakes keep you safe, and the bike is made of heavy duty aluminum, which is perfect for riding in all weather. The biggest concern about this bike is the lack of safety and visibility features. There is no rear light, and the bike is mostly black. It’s hard to see in the dark. It’s also harder for shorter riders to enjoy this bike, because the seat is not adjustable. This bike also has only three speeds for shifting. The last bike on our list is the SWAGTRON SwagCycle – the most unique e-bike we reviewed, hands down. This is a very distinctive bike that looks sort of like a scooter, but still acts like a bike. You sit in a more relaxed posture, with your legs in front of you like a tricycle, rather than directly under you like a bike. It is a lightweight e-bike that offers about 10 miles of riding before the battery needs a charge. You can ride about 10 miles per hour. However, it takes just two and a half hours to charge, so you can use it to go to work, then head out on your lunch break, then get back home. This e-bike also has some good safety features, like a headlight and a horn. It can be folded and unfolded in a matter of seconds, and is extremely easy to carry. Best of all, despite its small frame, it can support riders over 250 pounds. This may not be the right option for a dedicated bike rider, just because of the unique style, but it’s a cool way to get the e-bike experience if you prefer something a little quirky. Electric bikes, also called e-bikes, are still bicycles. 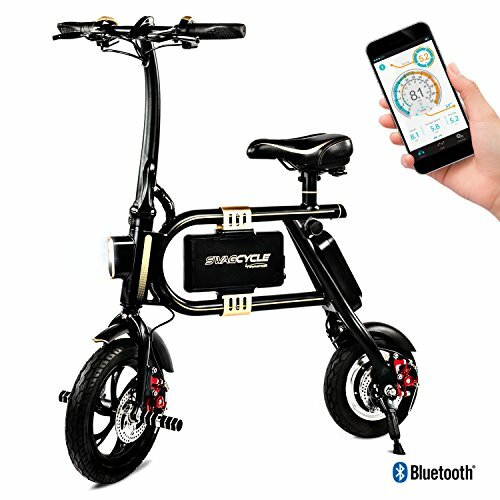 You will still have to pedal, unless you get a model that doubles as a scooter. The motor is there to help you get speed that you can’t get on your own, or that would be difficult to maintain on your own. It’s great for older riders, those with disabilities or injuries, and commuters that don’t want to arrive at work a sweaty mess. You can choose a crank-driven electric bike, which means that the motor is in the pedal crank. 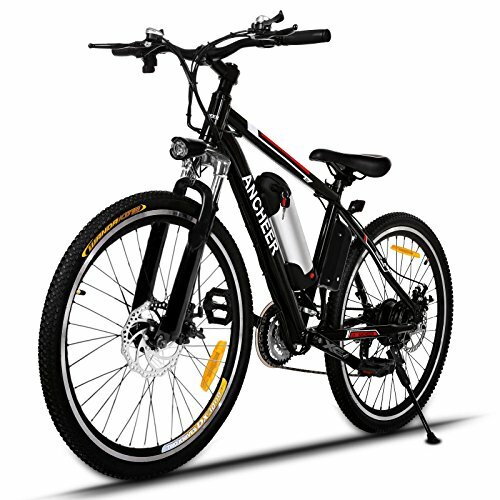 Or you can choose a hub crank electric bike, which means the motor is in the rear wheel. With either option, you can typically get up to speeds of about 20 miles per hour – though we did review one option that claims to get up to 25! These bikes use batteries to power the motor, and the batteries can usually last somewhere between 30 and 80 miles on a single charge. How long you can ride the electric bike with the motor assist really depends on how fast you are going and whether you are riding continuously, or are stopping and starting a lot. The good news is that most e-bikes can still be pedaled like a regular bike after the battery dies. So if you happen to run out of charge on the road, you can just bike like usual back home. In fact, there are even conversion kits that turn a “regular” bike into an electric bike. The final thing to note about electric bikes is that they aren’t cheap items. The most affordable options will run nearly $1,000, with few falling below that price range. High end electric bikes can cost up to $10,000. And don’t think you’ll save money converting your bike into an electric model. The conversion kit costs about the same as a low-end electric bike. You’ll be motivated to ride more often. A survey of electric bike riders in the U.S. showed that owning this type of bike dramatically increases the number of times riders got out on their bike per week, compared to how often they rode before they had an electric bike. This is a great way to enjoy your favorite hobby without wearing out your legs or putting strain on your knees. It also helps you take advantage of much longer rides. If you are used to giving out at around five or 10 miles, get ready to try much longer distances with ease. You can use electric bikes for quick daily errands. If you want to avoid using a car for quick errands around town, electric bikes are a great option, even if you aren’t that athletic. You can carry cargo or even bring kids along in the proper seat attachments. You won’t be all sweaty when you go about your errands, and you won’t have to pay for gasoline just to run a few errands. A survey showed that people with e-bikes have been able to replace 30% of their errands with biking, that they used to do by driving. Get some exercise! Even with the pedal assist through the motor of the electric bike, you are still getting some exercise. You do still have to pedal, as well as balance the bike. It’s a great way to get some fresh air and sunshine, and the act of pedaling helps to boost cardiovascular health. It’s a good way to “trick” yourself into getting some exercise, because it doesn’t really feel like working out. And even those who are very fit can still burn calories on an electric bike. Take advantage of newly improved technology. The latest electric bikes on the market are already much better than the very first e-bikes that were ever introduced. Batteries can now reach nearly 100 miles on a single charge in many cases, if you use the motor on the lowest setting. 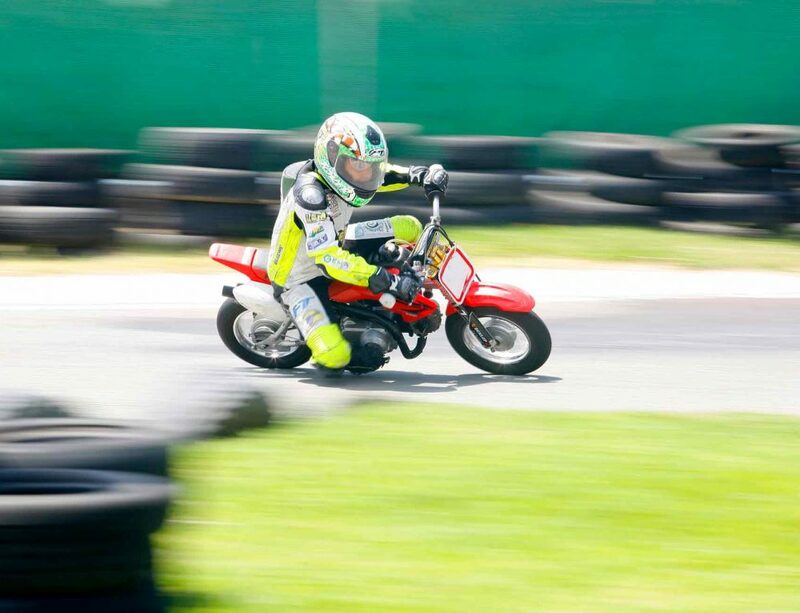 There are already opportunities to race electric bikes in Europe. If you are a bike racing enthusiast and want to get into this sport from the ground floor, you have a great opportunity. Overall, you can expect that the future of electric bikes is bright. Always wear a helmet when on a moving vehicle. Be sure to check out the laws in your area. Some places require that anyone under 18 wear a helmet when using anything motorized. 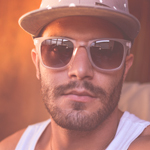 Look for a helmet that offers protection all the way around your head, and that will help keep the sun out of your eyes. Use the safety features the bike has to offer. Does the bike have lights? Turn them on when the sun starts going down. Does the bike have a bell or horn? Use it to alert drivers and walkers to your presence. If the bike doesn’t have lights, don’t rely on those little wheel reflectors to keep you safe. Be sure you’re wearing reflective clothing as well. Don’t ride against the traffic. There aren’t specific laws in place about e-bikes in most places, but most e-bike riders follow the laws for bikes. This means riding in the correct bike lane, with the traffic, not against it, and staying off the sidewalks. Be sure your tires are always inflated to the proper level. This helps your battery get the best range, and also keeps you in control of your bike. If you need to make a quick dodge of a car or a pedestrian, having tires at the right air pressure will allow you to keep control of the bike. Always assume anyone in a car is out to get you. As a bike rider, you have to ride defensively. Of course, drivers on the road aren’t really trying to kill you (we hope!). But acting as though they will never treat you as a fellow driver on the road will keep you alive. Just assume that drivers will try to cut you off, will get too close, and will not be friendly. Add a mirror to your bike if you ride in traffic frequently. This helps you keep an eye on what’s happening behind you so that you can ride safely. Your helmet may make it hard to see when you glance over your shoulder, so a mirror can be a vital piece of safety equipment. Be sure to make eye contact with drivers, even acknowledge them with a wave, when you can. Intersections are a great place to do this. Why? Because it helps you know that the driver saw you. Many accidents happen when bikers thing a driver saw them, and the driver never did. Be sure that you really know that you’ve been seen. Obey traffic laws and traffic signs. Use hand or arm signals to let drivers know when you are about to turn. Stop at lights and signs, just as if you were driving a car. Give pedestrians the right of way. In an e-bike, you may even want to give people on standard bikes the right of way. Be sure that you are always riding in single file, and that you are well aware of any local laws that pertain to e-bikes in your area. For example, in some parts of California, anyone under 16 may not operate an e-bike on a public roadway. The first thing to note about buying an electric bike is that they aren’t really built for speed. These bikes are made to help you accelerate to around 15 to 20 miles per hour, max, and then allow you to comfortably maintain this speed. If you’re looking for something that feels like a daring ride on the wild side, consider buying something different. That being said, if you are invested in buying an electric bike, here are the things you’ll want to consider. Motor Placement: The hub-mounted motor is a more affordable option, and also tends to be quieter. However, this is not the most powerful option, and won’t handle hills or uneven terrain easily. A frame-mounted motor, or the drive-mounted motor, is much better for bike stability and power. This latter type of motor is also more natural feeling as you pedal. Battery: The battery is the second very important part of an electric bike. It’s always a balance between how heavy the bike is with the battery on it, and how powerful the battery can be. The more powerful your battery – meaning, the farther it will go on a single charge, the more power it will supply the motor, and the faster it will charge between uses – the heavier it will be. Lithium ion batteries are typically the most popular type, which offer about 800 charges total before the battery will need to be replaced. Batteries can give anywhere from 25 to 75 miles of runtime between charges, so be sure to look closely at this spec when purchasing your bike. Brakes: Be sure to look into the type of brakes that come with your electric bike. 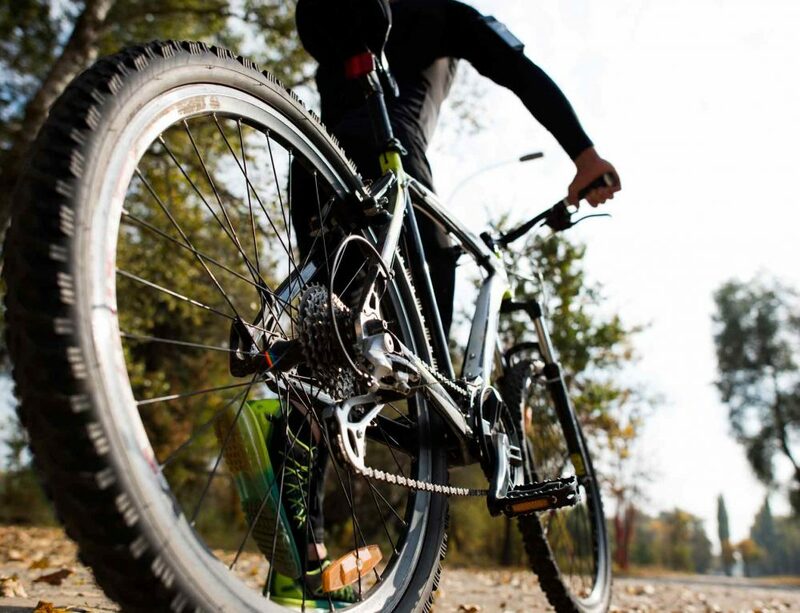 Most of the top models come with hydraulic disc brakes, which do add weight to the bike, but are also important for adding stopping power to a fast-moving vehicle. Support: How much support does the electric motor offer to your pedaling? The best electric bikes offer up to 300% support, while entry-level electric bikes offer around 225% support to your pedaling. Tires: Most electric bikes have thicker tires, around 32mm, to handle the speed of the bike while maintaining stability. 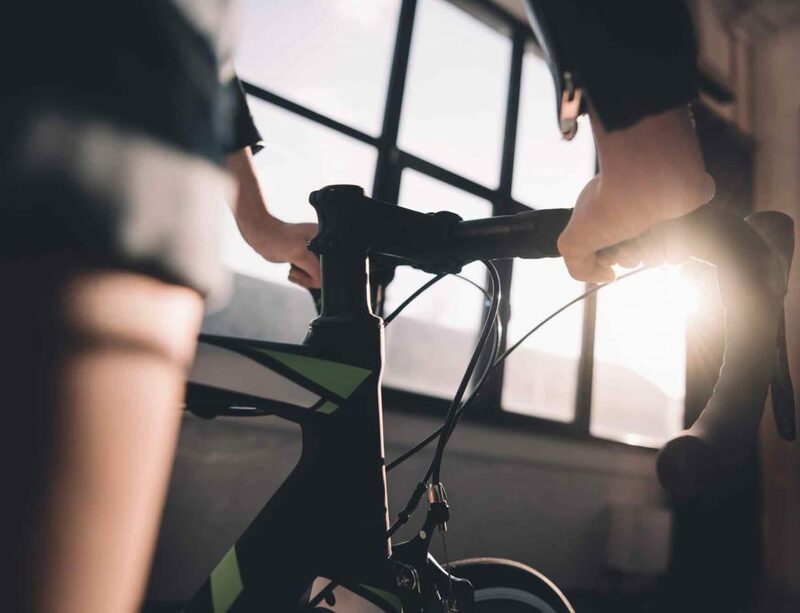 This is important for keeping the bike on the road with the heavier components and the speed making the bike a little more difficult to control. Which Bike Will You Choose? Choosing the right e-bike for you all comes down to what kind of riding you want to do, and what features matter the most to you. Do you want to commute around town, to and from work? A portable, foldable e-bike may be right for you. Do you want to do errands and enjoy the ride? Something with storage and a mid-range battery may be perfect for your needs. Do you want to really enjoy the open road and do lots of riding? You’ll want the longest battery range you can get. With so many options out there, it can be tough to choose just one! These eight electric bikes are the best on the market today, so be sure to check them out. It’s always a great idea to look at a bike in person before you buy, just to be sure you are comfortable and can easily use your favorite choice.